EDINBURG — A tire shop employee will spend the rest of his life behind prison walls for his role in the shooting of a Progreso man. After less than four hours of deliberation, a jury found Adalberto “Gordo” Guardado Mosqueda guilty Friday of capital murder for his role in what authorities said was a shooting related to a drug deal debt. The trial was related to the shooting death of Guardado’s co-worker, Gilberto Garces. The 44-year-old man’s body was discovered April 7, 2016, with his hands bound together and several gunshot wounds to his chest and head near a cornfield in the area of Farm-to-Market 491 south of Mercedes, police said. Nearly two weeks later authorities arrested Ramiro Lopez-Garcia, the first suspect related to Garces’ shooting. 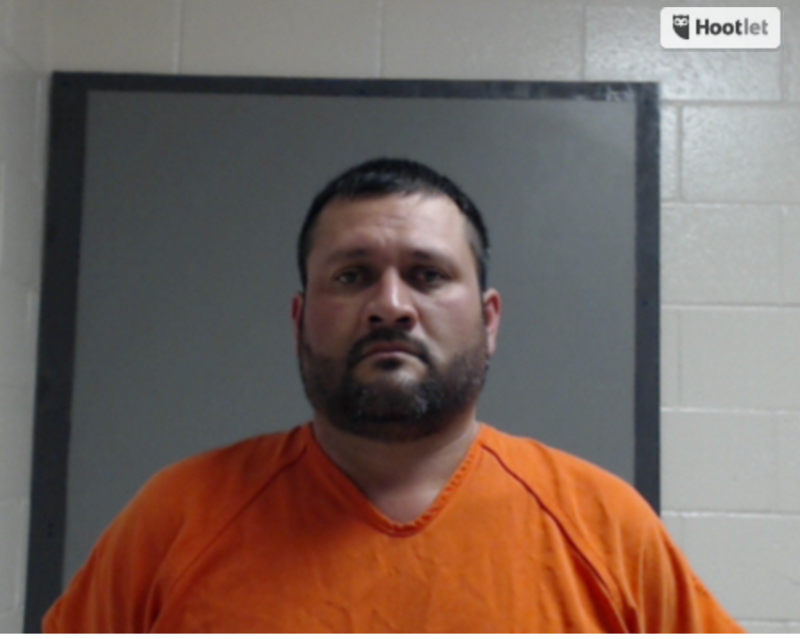 Lopez-Garcia, owner of Mid Valley Tire Shop and Garces’ boss, was arrested and charged with capital murder April 19, 2016 after authorities said they had evidence that he kidnapped Garces from the tire shop prior to someone shooting Garces hear a cornfield in south Mercedes. Lopez-Garcia remains in county jail awaiting his own court proceedings, according to court records. A week later sheriff’s officials arrested Lopez-Garcia’s other employee, the 37-year-old Guardado who implicated himself in Garces’ shooting death by saying he helped other men beat Garces before taking him to the remote area in south Mercedes. Authorities said Garces was last seen April 6, 2016, when he told family he was going to collect money at the tire shop he worked at. Investigators believed the motive for Garces’ shooting was due to a demand for money owed to him as part of a possible drug deal. He characterized Garces, Lopez-Garcia and Guardado as acquaintances. Evidence collected from the tire shop led investigators to believe Lopez-Garcia, Guardado and possibly other suspects kidnapped Garces from the tire shop before taking him near a cornfield and shooting him an unknown number of times, leaving him for dead. Video surveillance also captured Guardado following Garces’ vehicle in his green four-door truck at 3:42 p.m., April 6. Garces was seen driving south on Highway 83 on Dawson Street, in the direction of where his body was discovered a day later, according to the criminal complaint. Guardado’s vehicle was then seen a short time later, heading back in the direction of the tire shop, the complaint states. Despite evidence linking Guardado as the shooter in Garces’ death — Guardado’s own implication in the kidnapping sealed his fate for the ultimate verdict. In Texas the Law of Parties states that a person can be held criminally responsible for the actions of another — in this case even though the state was unable to tie Guardado as the shooter, he was involved in the kidnapping of Garces and the subsequent shooting. Authorities are still looking for two other men, Sergio Medrano Cavazos and Mauricio Vidal, who are believed to have played a role in Garces’ death. Guardado will spend life behind bars without the possibility of parole, according to court records.